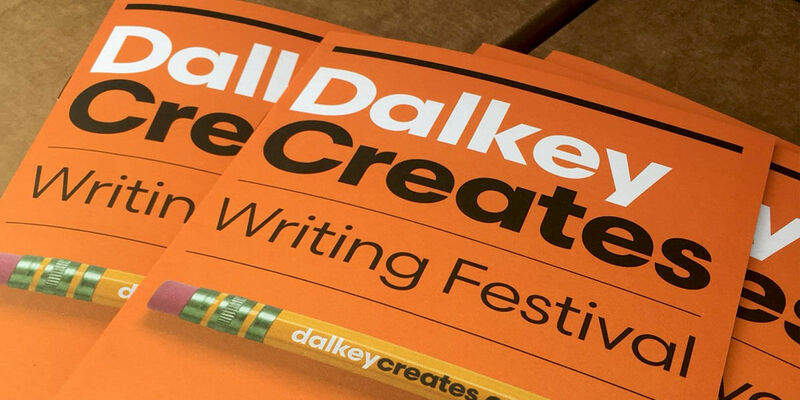 Dalkey Creates Writing Festival will inspire you to write, improve your craft and guide you through the publishing processes. Writing courses will offer a unique opportunity to learn in an encouraging and supportive environment in the comfort of small groups. They cover a variety of subject areas to suit every writer's interest and level of development, and the facilitators are all highly skilled published writers. Our Writer-in-Residence gives individual feedback on up to 10,000 word manuscripts and Writers' Forum provides in-depth knowledge about the publishing industry from world experts and industry professionals, and the opportunity to network with fellow writers. The Short Story Competition – with a stunning prize of €1000 – and the Open Mic Live! offer terrific platforms for new work. In other parts of the festival, DCJr & Family Day celebrate and display the talents of young creators in Dalkey and the surrounding area, and offer fun creative activities for all the family to enjoy. Dalkey has been inspiring writers for generations – George Bernard Shaw, Maeve Binchy and Flann O'Brien to name but a few – and it's easy to see why because this pretty seaside town in South Dublin boasts a fantastic range of cafés, pubs and restaurants with literary walks, sea-life and Viking history. It also has a delightful community spirit that's hard to beat. So whether you're a first time writer or want to publish your manuscript, Dalkey Creates Writing Festival can inspire, support and guide you on your journey towards ever greater writing success.